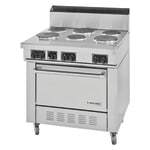 Garland's SS686-2403 sealed element electric range includes six heating elements that are infinite switch controlled. 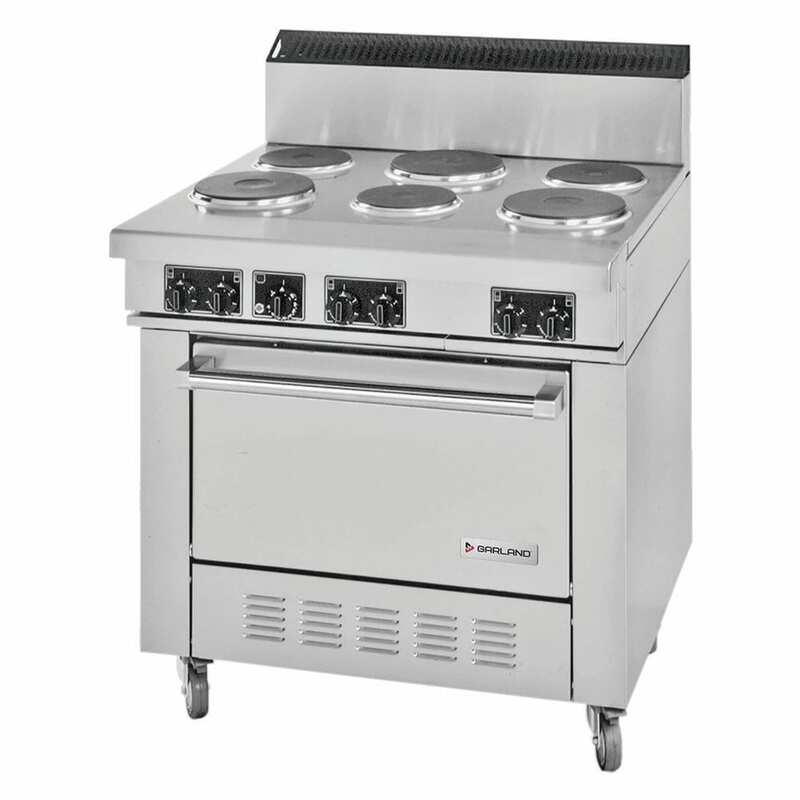 This Sentry Series unit has one oven rack and four-position removable rack guides as well as a large full-size oven with a porcelain interior finish. It also includes an electro-mechanical heavy duty oven thermostat, which adjusts from 150 to 550 degrees. A cool-touch oven door handle is also included.